Efficient and quick relays of information allow for virtual FaceTime visits and timely updates between the senior at home and his or her family and friends. The user interface is designed for a rich voice interaction so communicating is natural and clear. The friendly format for checking in with the senior each day provides him or her with reminders about medications, events, and activities. Real-time analytics trigger alerts and notifications based on the elder persons’ activities. Service provider staff and family alike can rely on this information to assist seniors at home when needed. 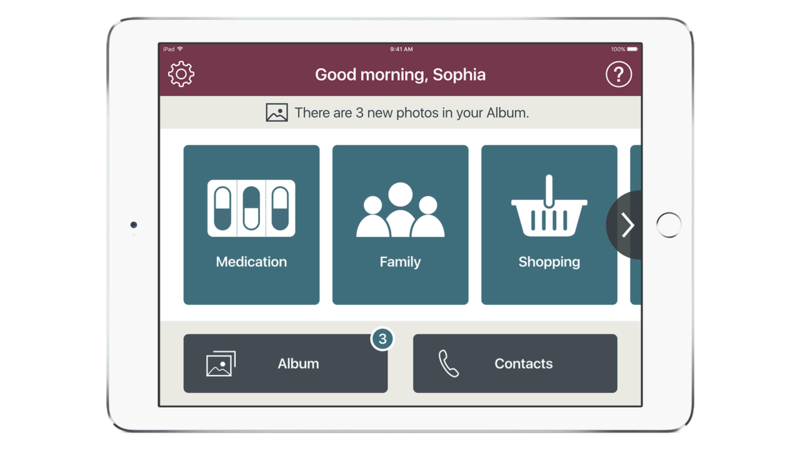 Elder interactions with the app are instantly updated and analysis of information can be used to improve the experience for the elder at home. Location services and map functionalities simplify monitoring and navigation processes allowing a service providers support staff the ability to address the needs of the senior in real-time. The apps Touch ID authentication provides a deep level of security assuring the senior and their loved ones privacy is protected.